Spring makes me want to add some zing – some bright, sunshine freshness to add light to the palate and awaken the taste buds after months of comforting cosy foods. My mum recently gave me a lovely little elegant plate which was my grandmother’s favourite. 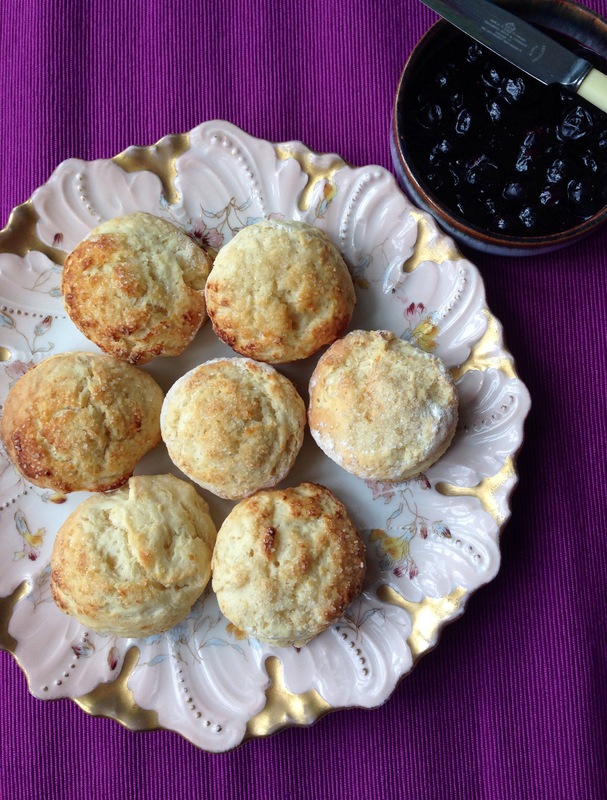 It’s so pretty that I decided it needed to be used for an elegant but also traditional dish, and not much fits the bill as perfectly as some scones. 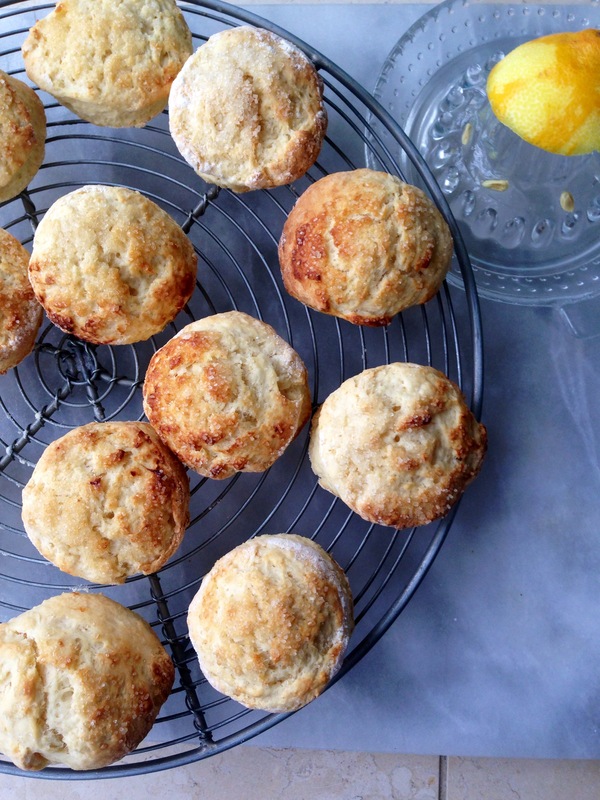 But these scones don’t just look pretty, they also provide the double whammy of lemon scented insides and surprisingly zingy lemon drizzle topping. 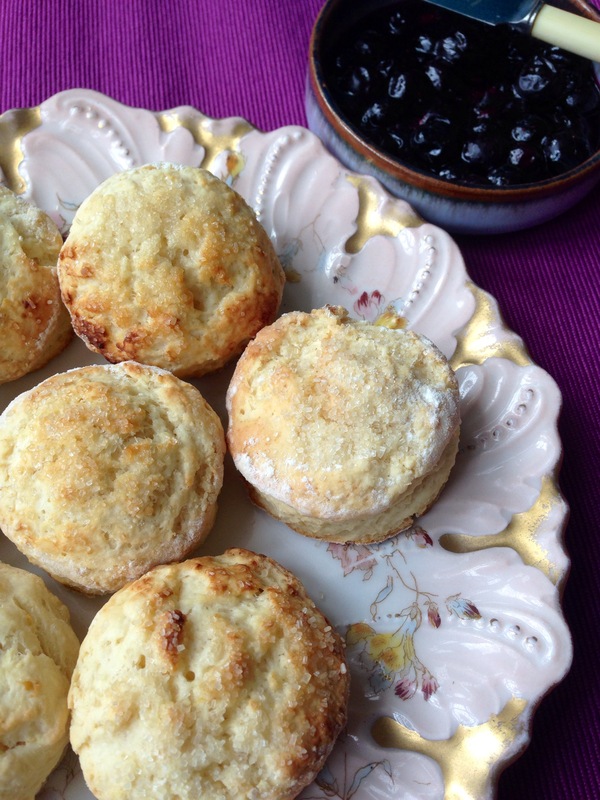 Unusual for a scone that’s for sure, but also totally delightful. 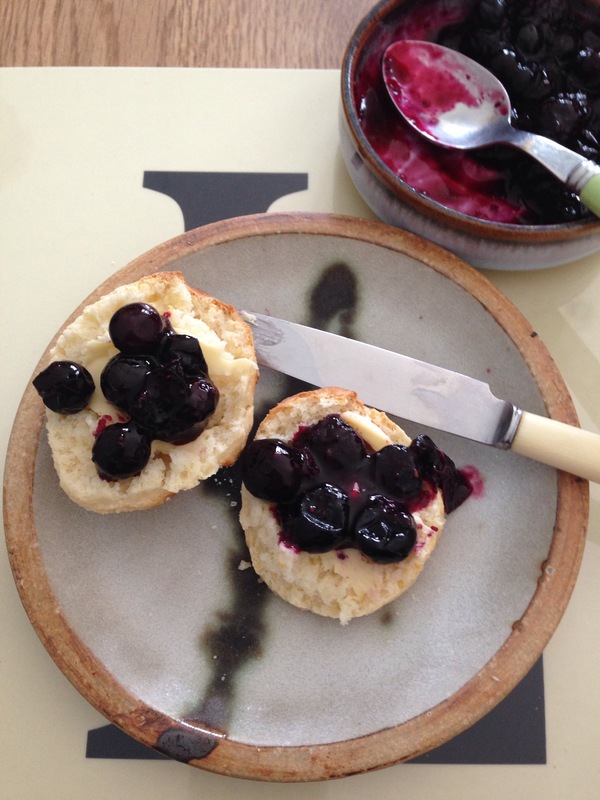 Best served with a warm blueberry compote. – Mix together the flour, salt, baking powder, sugar and lemon zest. Rub in the spread until the mixture resembles fine breadcrumbs. – Pour in the lemon juice and some of the oat milk. Gently bring together to form a soft dough (do NOT knead or you’ll end up with rock hard scones!). Add more milk if necessary. These look yummy and simple – lemons are starting to be more seasonal too and I have heaps of home-made pickled cherries that I could have with these. Thanks for sharing and Happy Easter of course!